The issue of eyesight weakness is common among all age level. Students and professional are worry about their eyesight loss. But if we do care, eyesight loss is not a issue. Care of eyes coupled with diet improve your vision. eye vision improvement tips | tips to take care of eyes are therefore being posted for improvement of your eyesight. There are some more posts on our web about eyes health and protection. There are a number of diets that help to improve health and vision of eyes. Fish is one of them, therefore use fish at least once in a week. 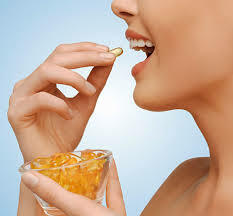 As fish contains omega three fatty acids, this substance not only protect eyes against “dry eye issue”.How to cure dry eyes permanently There are also supplements -containing fish oil -helpful for eyes, and can be used as an alternate instead of eating fish. 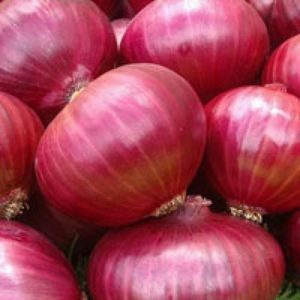 Research reveals that red onion is a safeguard against cataract. Since it contains such anti oxydent that are useful for eyes. Red onion therefore can be used as a salad during lunch and dinner. However, it is good to use this at night. Scientist have found that loss of night vision is due to lack of Vitamin-A. Regular use of food containing Vitamin-A or supplements of vitamin-A can boost night vision. Sweet potato is one of the good sources of Vitamin-A. Moreover it contains calcium as well. Therefore, give sweet potato to those children for school lunch which are facing night vision problem. Energy: 23.18 Calories, Protein: 2.9 g, Iron: 2.71 mg, Potassium: 558 mg, (All per 100g ratio). This is big source of energy and vitamins is useful for memory as well as eyesight. Therefore it is recommended that eat spinach twice in a week. 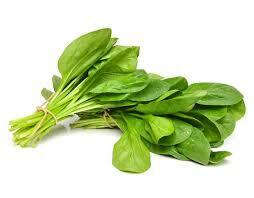 Scientists believe that regular use of spinach is helpful to improve muscle of eyes. Water is essential for your cells and organs activity. Therefore, drink plenty of water daily. Moreover, wash your eyes with clean and fresh water. Common use of towel can cause and spread ‘conjunctivitis’ or ‘pink eye’. Therefore, make habit of using separate towel. It will stop spreading not only infection of eyes but various other diseases germs. Never go without hat during scorching heat of sun. Sun direct rays especially in summer not only damages health of hair but also affect brain and their function. So use hat regularly during out side of home and shelter. If your eyesight is weak and you are using eye glasses, then it is good and advisable to use your glasses all the time. Use of glasses will hinder further loss to your eyesight. Moreover, Sun glasses are also helpful to safe eyes from Ultra violet rays -that causes skin burn and skin cancer and cataract- of sun. So never forget to wear glasses all the time. Do not read and write for long-take rest- it is good to give rest to your eyes. While, working with computers and other IT gadgets, give rest and pause to your eyes. It is better to focus eyes at a far point. This will help cornea to relax. Daily walk build up your stamina and stimulate metabolism. Thus, It also rehabilitate your body organs. Moreover, It normalizes your blood pressure. Massage is the best exercise to keep eyes active and healthy. There are creams for massage at market, one can use this. As compared to body massage eye massage must be done by professional and certified person.